Entry fee: £10 with a £1 refund for British Triathlon Federation (BTF) members upon presentation of a valid BTF membership card upon registration. This event will be sanctioned by Triathlon England and will be conducted in accordance with the Technical and Competition Rules of the British Triathlon Federation. Races may be cancelled or distances reduced if weather conditions are poor. DON’T MISS OUT on "An Evening with Simon Ward" Simon is one of the country’s top coaches. He has been coaching for over 30 years, been the lead L3 coach for British Triathlon and is Head Coach of Outlaw. He's coached thousands of athletes including several to Kona, and the Brownlees when they were juniors. This is your chance to learn from a master. Presentation, Q&A type affair. Tickets are only £8 and all proceeds go to The Brain Charity. The Attic Bar, Parr St, Liverpool L1 4JN. Thurs 28th March, 6:30-9pm. 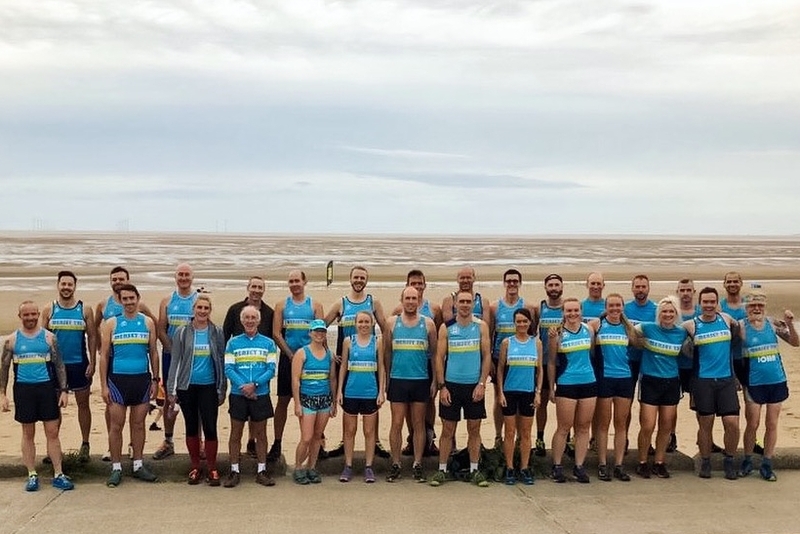 In September we host a club aquathlon on Ainsdale beach where Mersey Tri members compete against the local RNLI lifeguards. 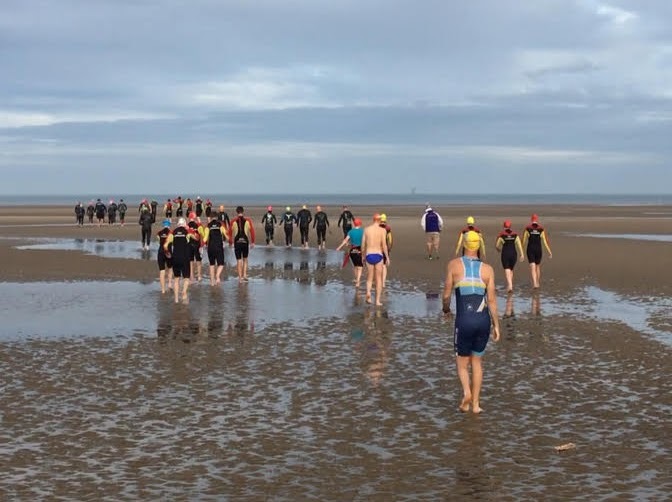 It’s a sea swim followed by a beach run, and there’s a trophy up for grabs for both the first Mersey Tri male and female.